The Personal Health Summary booklet is a refreshing breakthrough in the world of biometric testing. 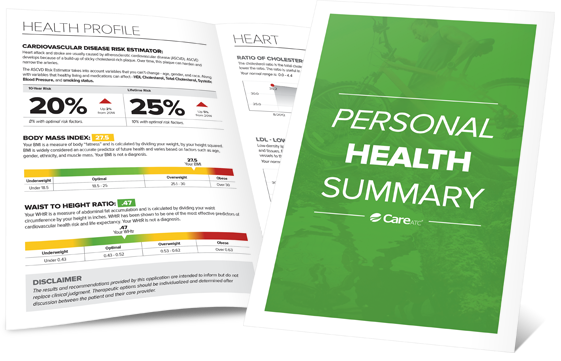 Designed specifically with patients in mind, the booklet contains user-friendly graphs, simplified medical explanations, and personalized information to inspire healthy living. Fill out the form at the right to access a sample booklet!